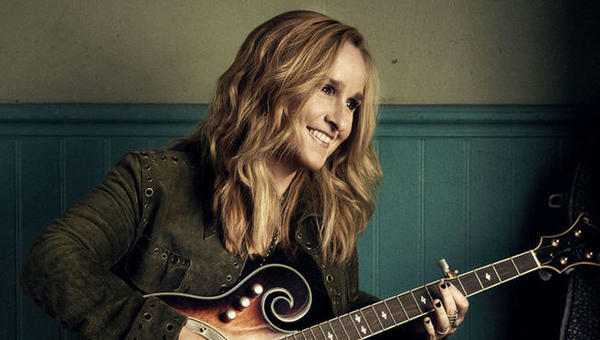 The 45th annual San Diego Pride Festival is right around the corner -- and with it comes the one and only Melissa Etheridge. On Thursday, March 14, San Diego Pride announced that the Grammy and Academy Award-winning singer/songwriter would headline and close out the 2019 festivities at Balboa Park. Slated for Saturday and Sunday, July 13-14, this year's Pride Parade and music festival will include more than 90 musical acts across four stages, with a focus on breakthrough local and international LGBTQ artists. Etheridge is a true rock & roll icon -- she's a critically acclaimed and award-winning artist who's paved her own way through the music industry since she was discovered performing in a Pasadena, California bar in 1985. Etheridge came out publicly in January of 1993 and has been a long-time passionate and tireless LGBTQ advocate. She's sold more than 13 million albums in the U.S. alone, earned 15 Grammy Award nominations (winning two) throughout her career, won an Academy Award in 2007 for Best Original Song (for "I Need to Wake Up" from the film "An Inconvenient Truth") and has even received her own star on the Hollywood Walk of Fame. "To my LGBTQ fans in San Diego and around the world, I have so much to thank you for," Etheridge said in a Pride press release. "You are the proof that we can become the change we wish to see. This community makes me a better person every day and this year at San Diego Pride, we will raise our spirits to the heavens and rock 'til we drop!" General admission tickets, weekend passes and VIP admission are available for purchase now, and prices range from $20 (for single-day entry) to $25 (for a weekend pass) and $175 (for VIP access). Visit the official San Diego Pride website for tickets. According to a recent press release, "this year's [San Diego Pride] theme is 'Stonewall 50: A Legacy of Liberation,' to honor and reflect on the Stonewall generation, their activism and all that the LGBTQ community has gained through their efforts." "As we celebrate the 50th anniversary of the Stonewall riots that launched the modern-day LGBTQ civil rights movement, our Pride theme is 'A Legacy of Liberation,' and I can think of no one better to embody that spirit than Melissa Etheridge," said Fernando Z. López, executive director of San Diego Pride. "Her decades of meaningful music and inspired advocacy continue to connect the LGBTQ community and carve a better path forward both here and around the world." The parade is the "largest single-day civic event in the San Diego region and is the sixth largest Pride celebration in the United States, attracting over 250,000 people." It is scheduled to run from noon-10 p.m. on July 13 and 11 a.m.-9 p.m. on July 14.